Mandalay Bay Resort and Casino welcomes GRAMMY-nominated artist Charlie Wilson to the Events Center Saturday, March 28 at 8 p.m. Wilson will be joined on the Forever Charlie Tour by highly regarded R&B artists Kem and Joe, both of whom will perform their individual sets. Tickets priced at $50, $90 and $130, not including applicable tax and service fees, are now on sale and available at all Las Vegas Ticketmaster locations (select Smith’s Food and Drug Centers and Ritmo Latino). To charge by phone with a major credit card, call Ticketmaster at (800) 745-3000. Tickets also are available for purchase at mandalaybay.com or ticketmaster.com. 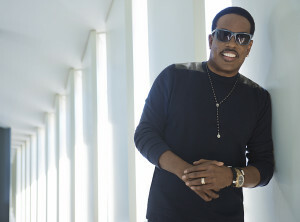 Charlie Wilson’s new album Forever Charlie was released this month. The first single off the album, Goodnight Kisses, was the No. 1 most added song at Urban Radio and now is Top 10 on the Mediabase Adult R&B chart. Wilson has received nine GRAMMY nominations and multiple awards throughout his career. He was named Billboard magazine’s No. 1 Adult R&B Artist and has had eight No. 1 records that topped the Billboard Urban Adult Contemporary radio chart including Without You, Charlie, Last Name Wilson, Magic, There Goes My Baby, Can’t Live Without You, You Are, Life of the Party and My Love Is All I Have. Most recently, Wilson received two 2015 GRAMMY nominations with rapper Kanye West for Bound 2; he also was an NAACP Outstanding Album Award winner for the album Love, Charlie and BET presented Wilson with a Lifetime Achievement Award in 2013. This entry was posted in Home Page, Home Page Slider, News and tagged Las Vegas, Mandalay Bay Resort and Casino, MGM Resorts International. Bookmark the permalink.